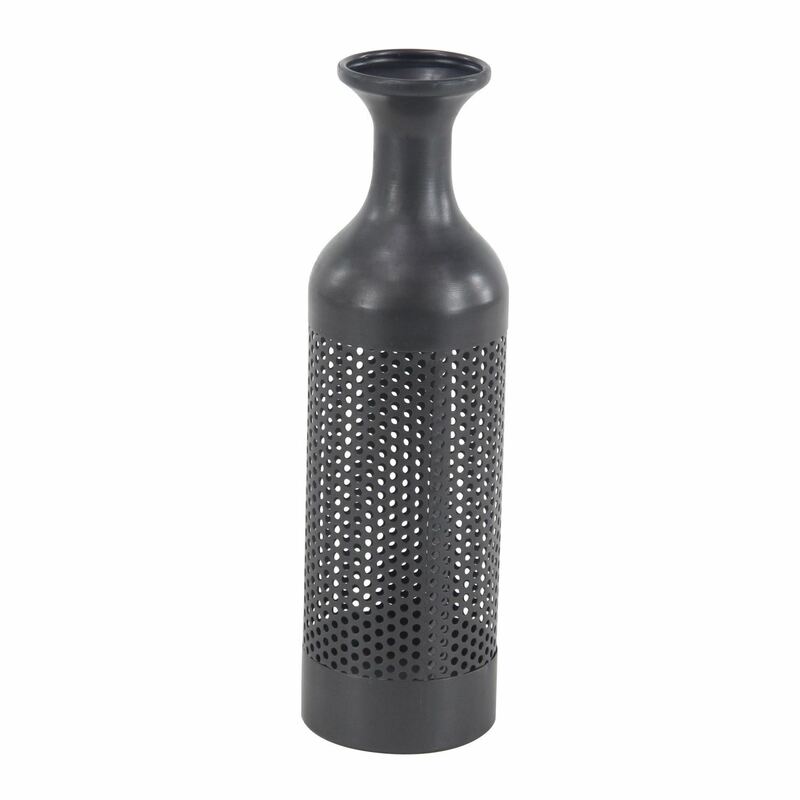 Classic meets modern with the Metal Pierced Vase, Medium by UMA Enterprises. This metal vase pairs a classic silhouette with a modern, textured gray finish and unique pierced body to create a unique and versatile look that is sure to complement a variety of styles. Metal Pierced Vase, Medium by UMA Enterprises. Can be displayed with or without floral adornment. Serves both decorative and functional purposes. Features a textured gray finish. Designed with open-style round details on the body.